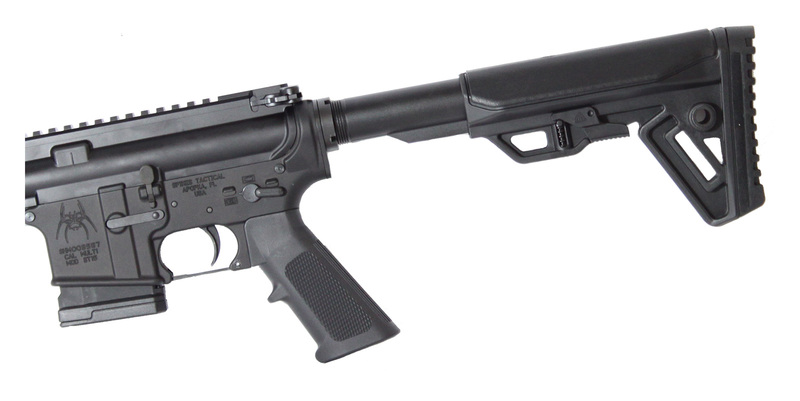 This complete AR-15 rifle features a Spike’s Tactical Lower Receiver as the foundation of this rifle. This lower receiver features the Spike’s Spider logo engraved prominently on the left side of the magwell. This crucial component has been paired with our custom upper receiver and M-LOK handguard providing the shooter with a light-weight, free-floated, rigid design resulting in superior performance. In addition, this design offers a monolithic Picatinny rail for optics or red dot sights and plenty of M-LOK attachment points for all your tactical accessories.